We Need a Volunteer - Could it be YOU? OscarÂ® Gala â€“ The finalists have been announced! Itâ€™s time to get ready for some fun! Join us for the 88th Annual Awards at our OscarÂ® Gala! The whole event, from the pre-show chatter and party dresses to the last â€œthank youâ€ will be streamed live from two 30-foot screens. There will be a five-course meal by Smithfields Catering, libations, prizes and of course â€“ a red carpet! Dress is black tie optional, sparkles preferred! Just a reminder that AIFF members get first dibs on tickets, early entry into films before the general public, and are eligible for discounts for certain other events, such as our recent benefit screening of the big OscarÂ® contender Carol at the Varsity. They also make great gifts. 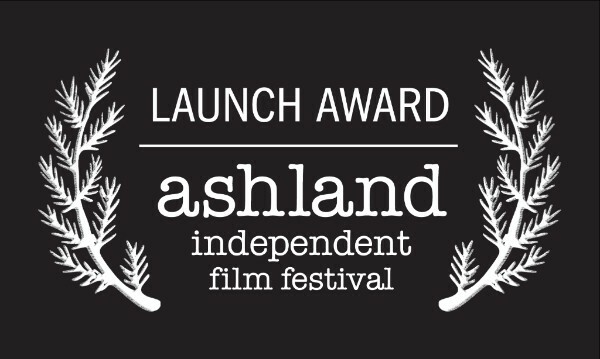 Details at ashlandfilm.org. Live at the Armory hosts an eclectic array of performance events. A glance at their calendar for the next few months indicates the range. There will be a free community celebration of Martin Luther King, Jr., on Jan. 18; the southern rock band, Saving Abel, plays Jan. 20, and a multi-sensory night of music, ecstatic dancing, gourmet desserts and an aromatherapy tent is on tap for Valentineâ€™s Night. In April, the progressive rock band moe hits the stage. 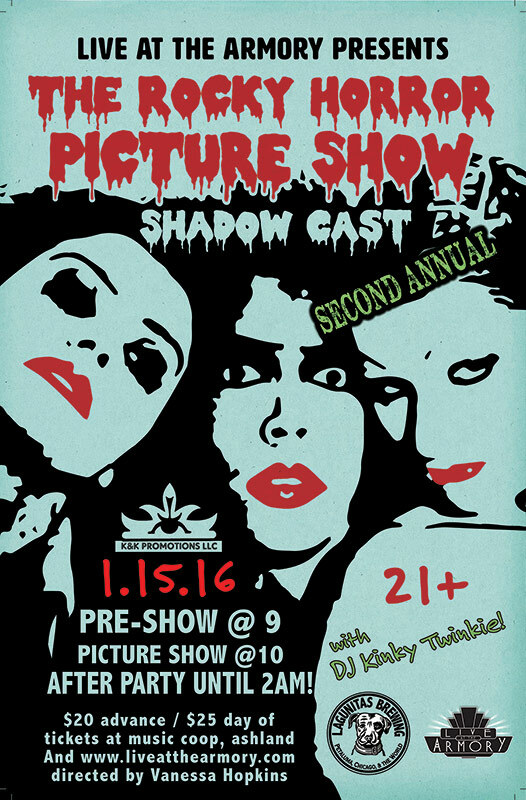 Tonight (Jan. 15) is the highly anticipated shadow cast of the cult movie classic Rocky Horror Picture Show, during which live performers act out the show in front of the film screen. Expect audience participation, crazy costumes, singing, and dancing. 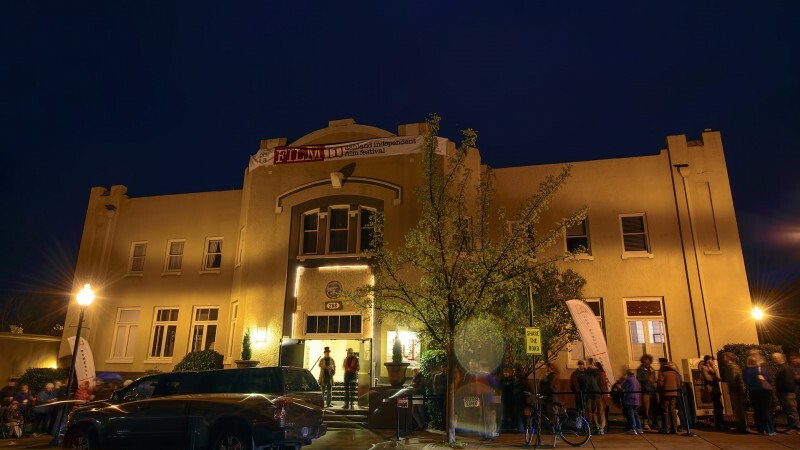 Live at the Armory works with many other local nonprofit organizations including Southern Oregon Film and Media, Ashland Schools Foundation, The Ashland Art Center, the Boys and Girls Club and many, many others. 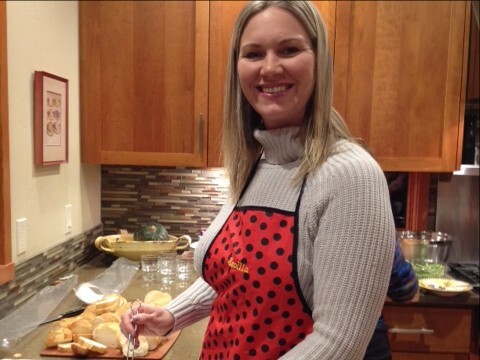 â€œWe love being a part of the community!â€ said Stull. Check out their upcoming acts at their website: liveatthearmory.com. That each year, the festival brings in five professional projectionists? We do this to ensure that we bring out the very best in the 90+ films that we accept into the festival. The projectionists, usually the same crew each year, preview all the films. (Phew! ), make sure that there is a backup copy for every single one, compile collections of shorts, and stay in direct radio contact with the manager on duty (the MOD) to ensure the films start on time. Of course, they stand at the ready to make any technical corrections. â€œTheyâ€™re essential!â€ said Wendy Connor, AIFF director of operations. The projectionists are film festival gypsies. They roam from festival to festival. Can you imagine how many films theyâ€™ve seen? Wow, bet these gals and guys are really good at spotting great films, and choosing OscarÂ® winners! We are looking for someone to help us track accessibility requests. This job can be done from home and mostly requires a quick daily check of email correspondence and careful tracking of responses to the requests. Youâ€™ll work directly with our production manager, Bruce Hostetler. Estimated time commitment is 30 minutes daily before the festival, increasing to perhaps an hour a day in the two weeks leading up to the festival and during the film week â€“ April 7-11. Skills needed: familiarity with G-mail, or spreadsheets and an attention to detail. Interested? Contact bruce@ashland.film.org for details. And the winner isâ€¦. Sorry, we canâ€™t tell you yet, but students will be notified on Feb. 22! But both the students and their supporters and AIFF have already won. We have enjoyed getting to know so many aspiring film-makers in the area and watching their films. And weâ€™ve heard that many of you have also enjoyed the process. Stay tuned for the winners. And thanks for participating! Unbranded â€“ A Wild Mustang Documentary. Thurs. Jan. 21 at 7:30 p.m. Free. @ SOU. Four young cowboys hatch an outrageous plot to adopt, train, and ride a string of wild mustangs 3,000 miles from Mexico to Canada through the wildest terrain of the American West. The trip becomes an epic journey of self-discovery, tested friendships, and iconic landscapes. 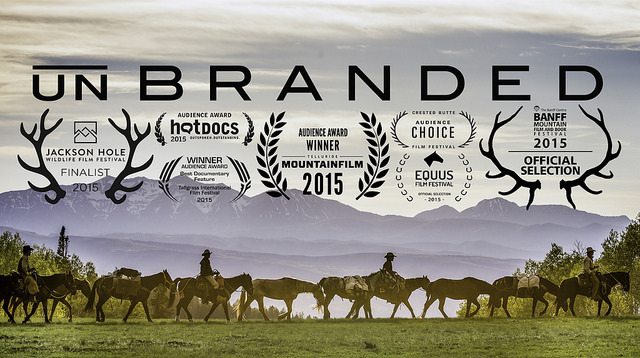 The Audience Award winner at Telluride Mountain Film Festival and Hot Docs Film Festival, Unbranded shines a bright light on the complex plight of our country's wild horses. This screening is being presented by the Oregon Center for the Arts at SOU in collaboration with the SOU Division of Business, Communications and Environment; SOU Digital Media Center; and the Ashland Independent Film Festival. 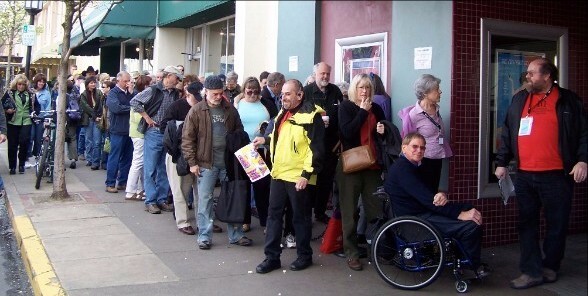 The film will be screened free at the SOU Music Recital Hall. The filmmakers encourage donations to be made to The Mustang Heritage Foundation at mustangheritagefoundation.org. 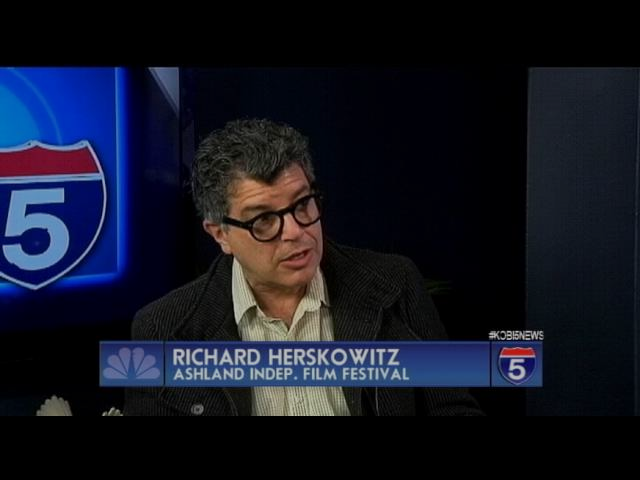 Our Director of Programming, Richard Herskowitz, sat down with Craig Smullin on KOBI-TV NBC 5 recently to discuss his film selection process and his upcoming trip to Sundance Film Festival to scout films for â€ªAIFF 2016. 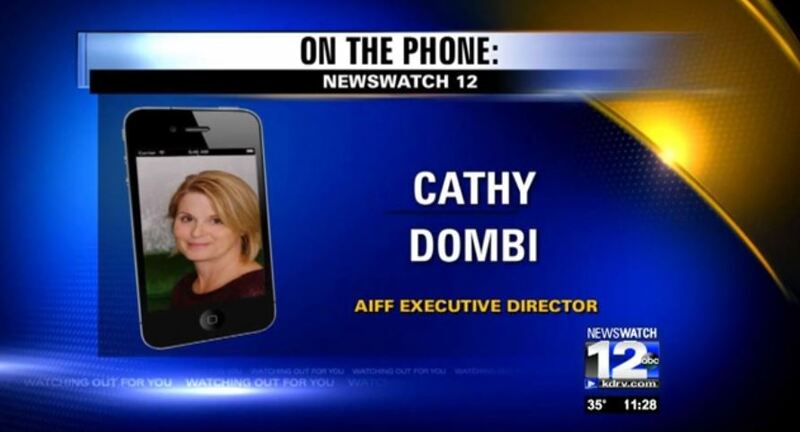 Executive Director Cathy Dombi talked to Erin Maxon at KDRV-TV about AIFF films that have been nominated for an Academy Award. 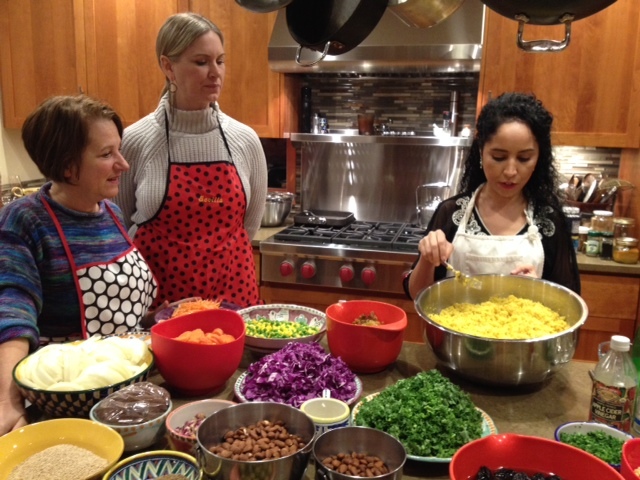 Ashland personal trainer, fitness instructor, belly dance teacher, and sports nutritionist, Tiazza Rose, hosted an exotic Moroccan feast for AIFF supporters who won the event during the auction at our recent Reel to Rogue fundraiser dinner. 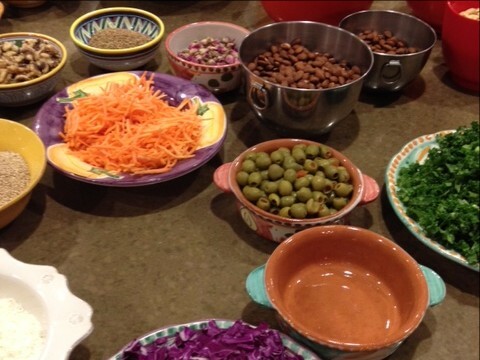 The menu featured appetizers, sangria, a couscous salad and a surprise birthday cake for a couple of special people. Thanks for the generous gift of time, talent, and ingredients! 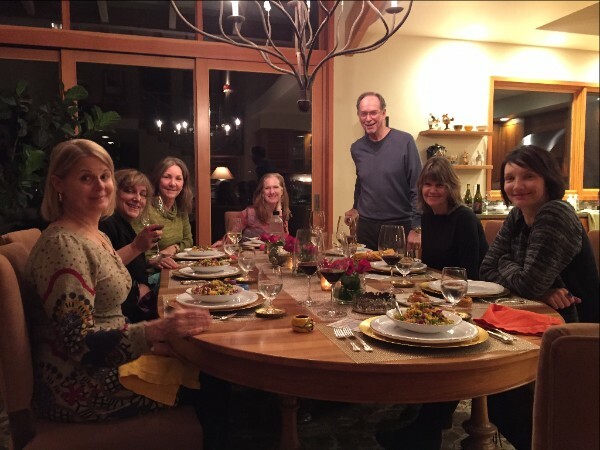 Jan. 19 - Southern Oregon Film and Media Dinner. $70+. Historic Ashland Armory. Feb. 28 - OscarÂ® Gala $75. Historic Ashland Armory. March 16 - Festival Web Site goes live. You can look, but you canâ€™t buy â€“ yet! March 16 - All Volunteer Training Meeting. Historic Ashland Armory.